For our final month in this year’s 12 Months of Birding at the Inn series on our blog, we feature a bird that loves the forest just as much as we do: The Broad-winged Hawk. 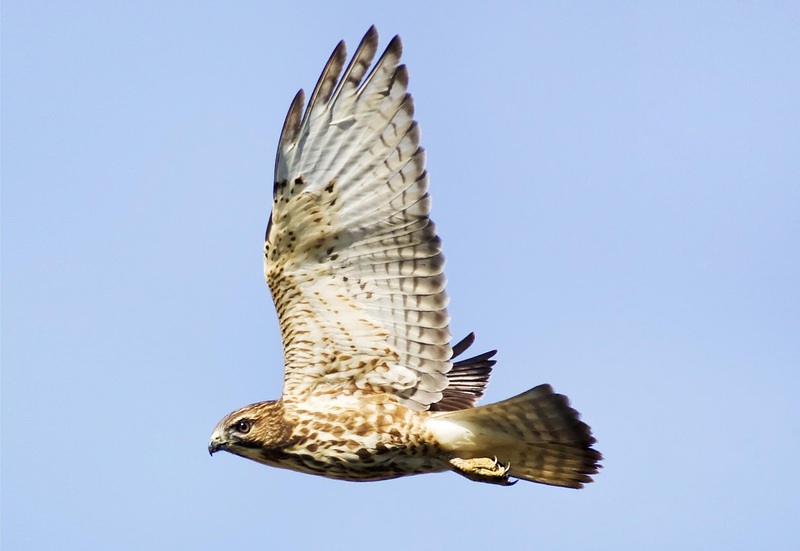 We didn’t have a chance to feature the Broad-winged Hawk in the summertime when they make Pisgah National Forest their home, so we’re closing out the year with a nod to this special bird. 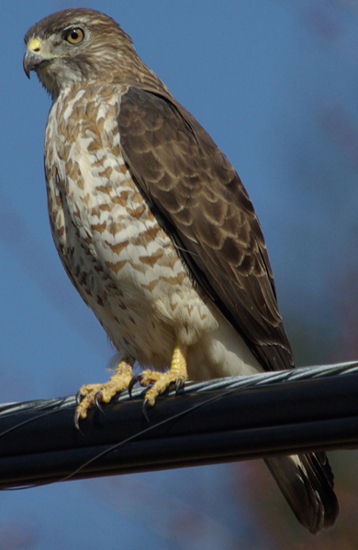 Broad-winged Hawks are small raptors with reddish-brown heads, stocky brown bodies and pale undersides bordered and barred in dark brown. Look for black and white bands on the short, square tail. Broad-winged Hawks are so named because their wings are very broad, coming to a point at the tips. seconds, with a short first note and a long second note: kee-eee. We hope you’ve enjoyed this year of birding at the Inn on Mill Creek! Our 2016 12 Months of Birding at the Inn series begins in January with a yellow-eyed songbird. Can you guess what it is? This entry was posted in Birding in the North Carolina Mountains, Wildlife and tagged 12 Months of Birding at the Inn, birding, Summer by Inn on Mill Creek. Bookmark the permalink.